Pineapple Tile Inserts: handmade tiles by artist Linda Paul. Add some bling to your kitchen decor! 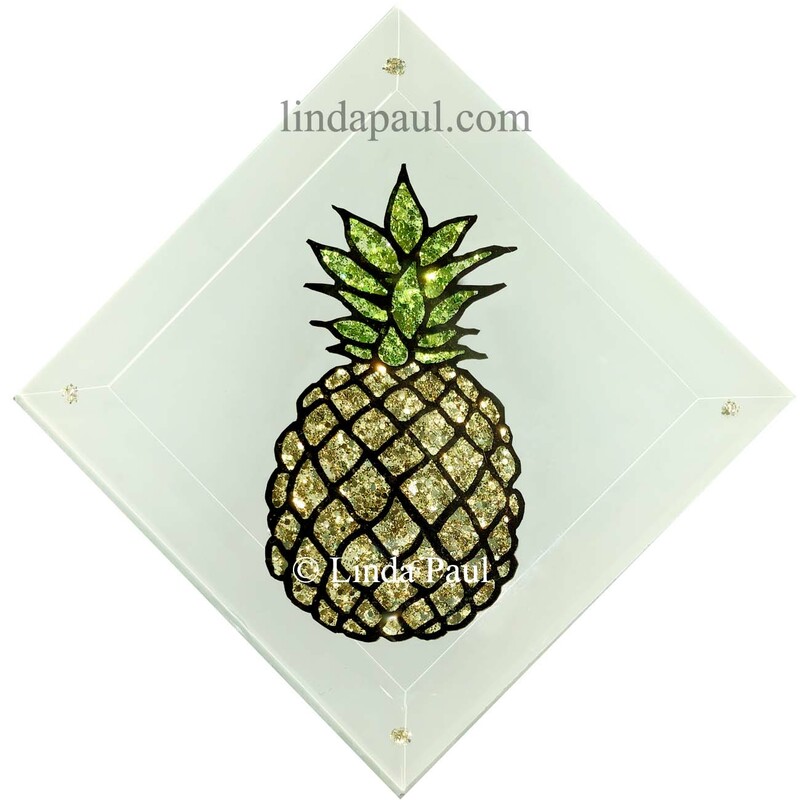 These beautiful pineapple wall decor accents are handmade by USA artist Linda Paul behind glass. They sparkle, capture and reflect the light beautifully. 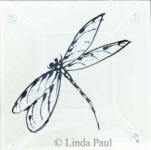 You can insert these glass tiles between other tiles in your kitchen or bathroom backsplash. They can also be framed and hung as pineapple wall art. 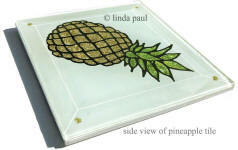 Pineapple tiles are available as diagonal or horizontal tiles. Shows tile from the side. Glass is mounted on 1/8" board and silicone sealed around the edges. Please let us know if the tiles are going in a shower and we will add extra seal. 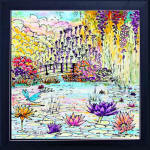 Frame and Hang as wall home decor: The 4x4" and 6" x 6" glass tile make great gifts. They can be framed and hung in your home as wall decor. 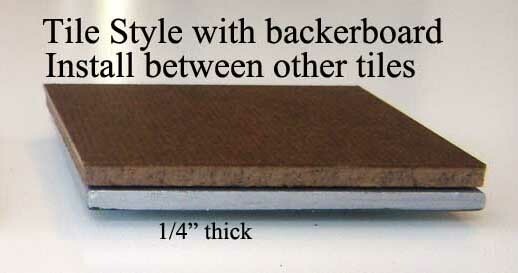 Installing in a shower: Please let us know if you want to install these tiles in shower, outdoor or commercial area.